We Ship With The Seasons Too! At Secure Auto Shipping we understand that people like to transport and ship their vehicles yearly, especially down here in South Florida. This is why we have a lot of repeat customers, because we offer discounts to loyal snowbirds who like to move their vehicle with us every season. So how do you know what vehicle transport company to choose? Most people choose which transport company to use by calling and finding who can provide the lowest car shipping quote. While we have the most competitive rates in the auto shipping industry, we go beyond the rate alone. Because, what you don’t know about the auto shipping company you are booking with, can cost you lots of time, money and a whole lot of frustration. 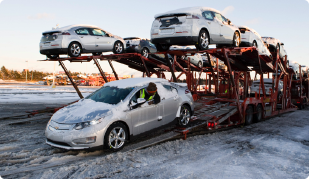 That is why at Secure Auto Shipping we want to stand out from the rest of the vehicle transportation companies by backing up our car shipping quote with excellent service, reliability, quality and transparency. Here you don’t have to worry about compromising top notch service with an affordable price. We deliver on our promise and have the credentials to back up what we say. Our customers and their vehicles are always our number one priority. • Call (844) 228-9510 and see if you can book a spot on our carrier!